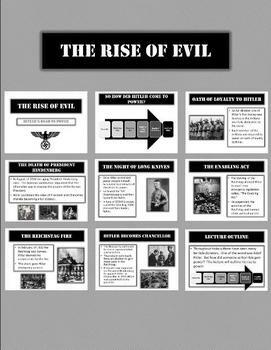 Hitler and The Rise of Evil - 11 Slide Dynamic Powerpoint! 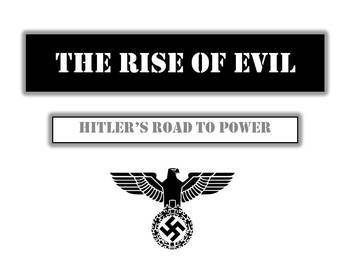 A clear and visually engaging look at how Hitler gained power democratically from 1933 to 1934. 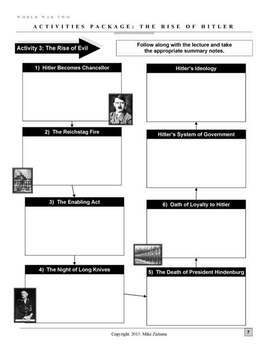 A graphic organizer accompanies the ppt. 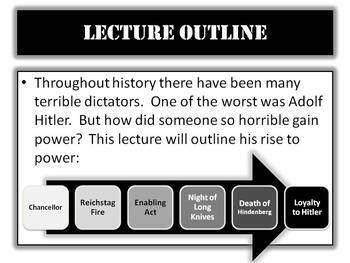 lecture to help students organize their notes. Also included is a audio clip of an actual speech from Hitler. This is a good "hook" to start the lecture off with.